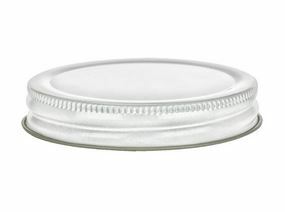 White Jelly Lids. Features a 70/450 finish with a gold underside. THIS LID INCLUDES A PULP & KRAFTSEAL LINER!